Soul-stirring mountains rival golden beaches, while cities hum with nightlife and art. 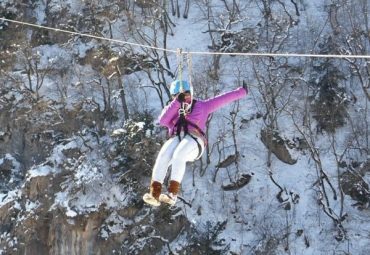 Within Bulgaria’s beguiling blend of nature and history, unforgettable adventures are guaranteed. Bulgaria’s untamed landscapes quicken the pulse of hikers, mountain bikers and skiers. Seven mountain ranges ripple across the country; glacial lakes sparkle between these snow-dusted peaks, and tangles of forest conceal wolves, bears and lynx, a glimpse of Europe’s primeval past. Between trekking among Rodopi villages, thundering across ski fields in Bansko or birdwatching in Pirin National Park, Bulgaria has much to delight (and exhaust) lovers of the great outdoors. Airline ticket with Bulgaria Air (subject to Availability at the time of booking). Airport Transfers must be booked at least 07-days in advance. Representative Tax to be paid directly & locally. 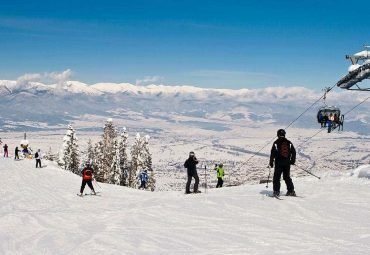 Borovets is the oldest Bulgarian winter resort with a history that dates back to 1896. Borovets was originally established as a hunting place for the Bulgarian Kings. 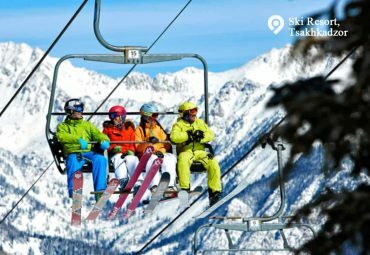 Borovets gradually developed into a modern ski resort with hotels, restaurants, bars and a network of ski runs and lifts along the slopes of the Rila Mountains, providing for a whole range of winter sports. The resort has twice hosted World Cup Alpine Skiing rounds (1981 and 1984), while the Biathlon track is one of the best in the world.orovets is a popular Bulgarian mountain resort situated in Sofia Province, on the northern slopes of Rila, at an altitude of 1350 m. Borovets is an hour drive from Sofia (70km). The skiing area of Borovets includes 24 trails with a total length of over 58 km, cross-country skiing tracks, biathlon, night skiing facilities and a winter park for children. There are 12 lifts and tow-lifts in total. They are modern, well-maintained, and have excellent capacity. The trails are situated in three (3) regions: SITNYAKOVO – Martinovi baraki (Martin’s Huts), MARKUDZHIK, and YASTREBETS. 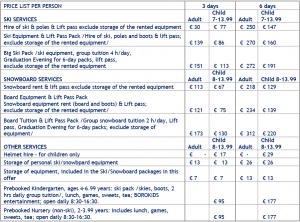 They have varying difficulty levels and are suitable for beginners, advanced and expert skiers. The cross-country skiing tracks are 35 km long and at least 6 m wide, built in accordance with the requirements of the International Ski Federation. Snow equipment keeps the snow in perfect condition. The ski season begins in mid-December and ends in April. Skiing and snowboarding lessons are offered at the resort. The instructors are highly-qualified and globally acclaimed. Both group and individual lessons are offered. Borovets is the starting point of many hiking trails in Rila Mountain. Most popular among tourists is the hiking trail leading to Musala Peak, the highest peak on the Balkan Peninsula standing at 2,925 m above sea level. The resort provides good conditions for pleasant relaxation and you will have everything you need there including shops, pharmacies, currency exchanges, banks, ATMs, medical services, etc.